Why I love photographing weddings! The bouquet and garter toss are always a funny part of the wedding waiting to happen. 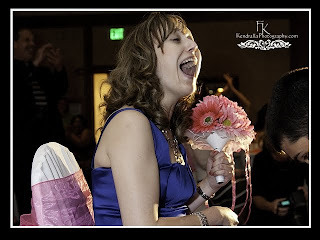 There are times when the fight for the bouquet or garter is similar to a jump ball during a basketball game and other times it is a civil and casual event. 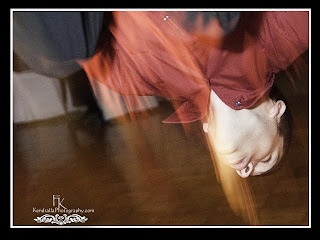 Many stand out in my mind but one that stands out the most is the time when the man that caught the garter did a back flip in the middle of the dance floor. The groom tossed the garter and it was caught amongst many capable young men. After catching the garter and while the young lady was sitting on the chair waiting with nervous anticipation, the DJ asked for the young man to come forward. The DJ announced to the crowd and specifically to the young man. 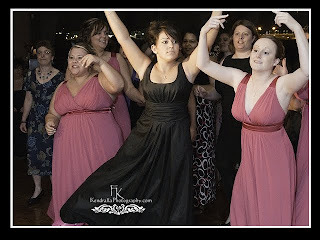 “Don’t be shy or . . .” while the DJ was in mid-sentence, the man that caught the garter walked forward and did a back flip in the middle of the dance floor. (He definitely was not shy nor was he afraid of being the center of attention.) This was only the beginning of a very entertaining part of the wedding. I was asked later how I captured the shot. Out of the corner of my eye, I saw him jump up and I immediately turned toward him and opened my lens to its widest opening (17mm). Without bringing the camera to my eye, I fired off a few shots. I was able to capture his flip when his head was inches from the floor. I am very thankful the Lord gave me the skill and timing to capture this shot. It came from practicing shooting without looking many times before.